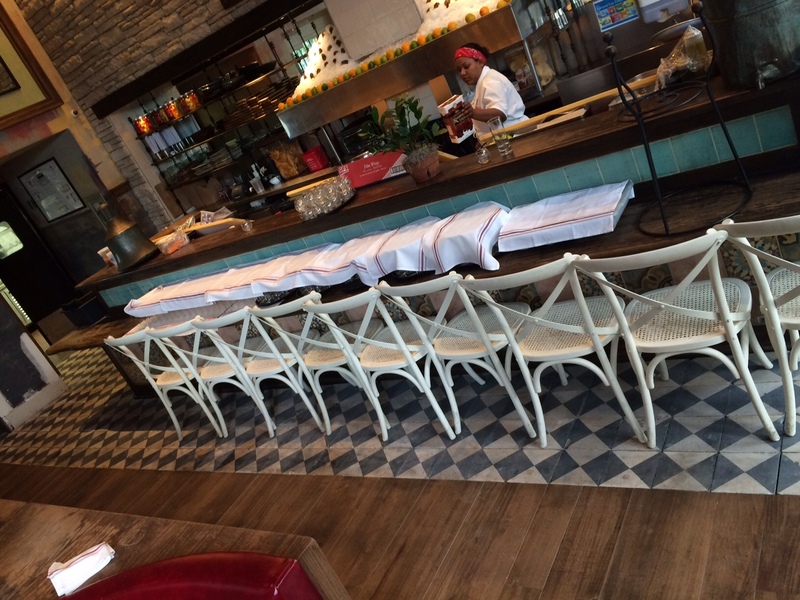 SUGARCANE Raw Bar Grill is one of Miami’s trendiest and most popular restaurants. 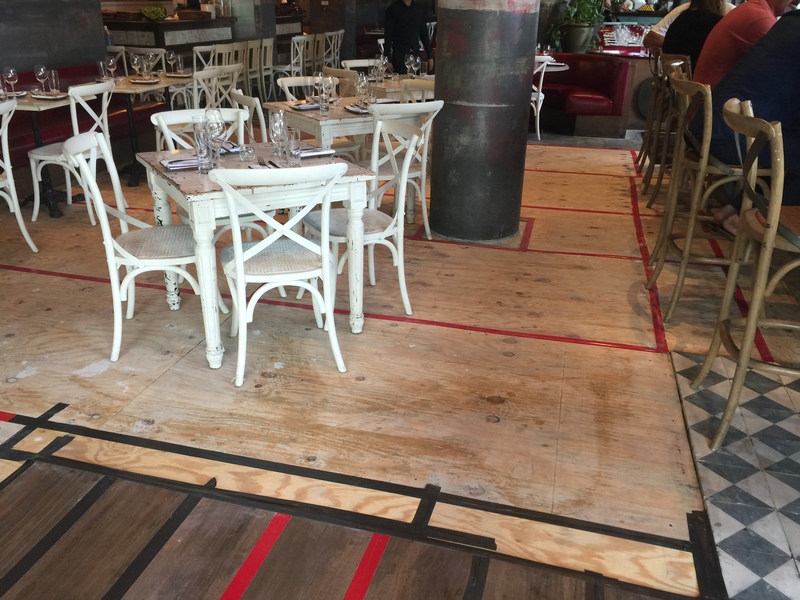 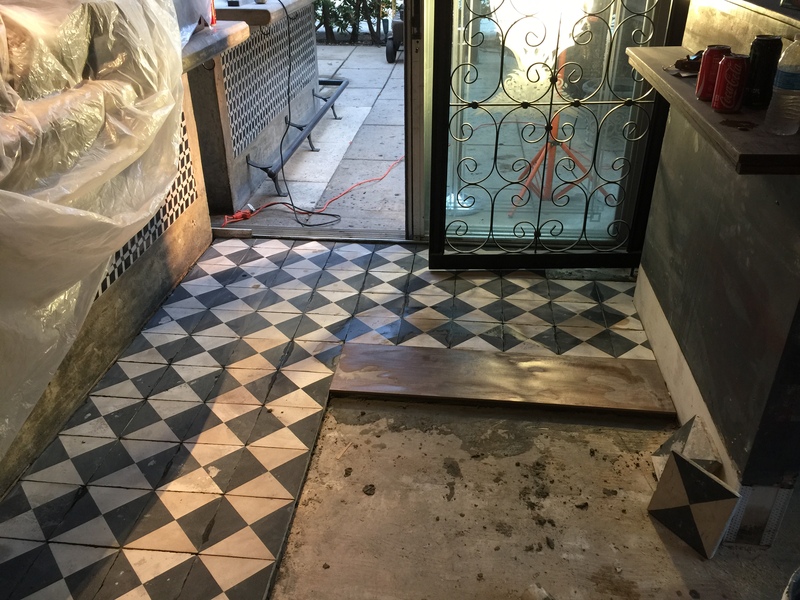 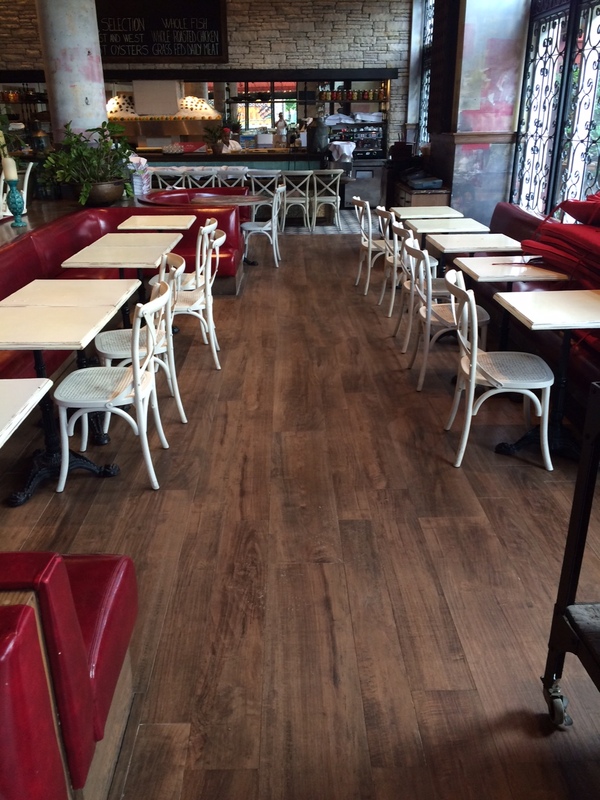 Located in Midtown Miami, this restaurant was in need of durable flooring to handle the crowds and bustling wait staff. 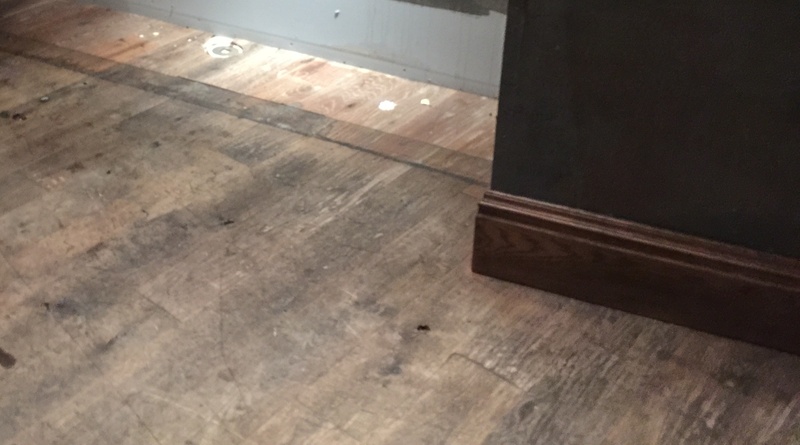 Hardwood floors before replacing with wood-looking porcelain tile. 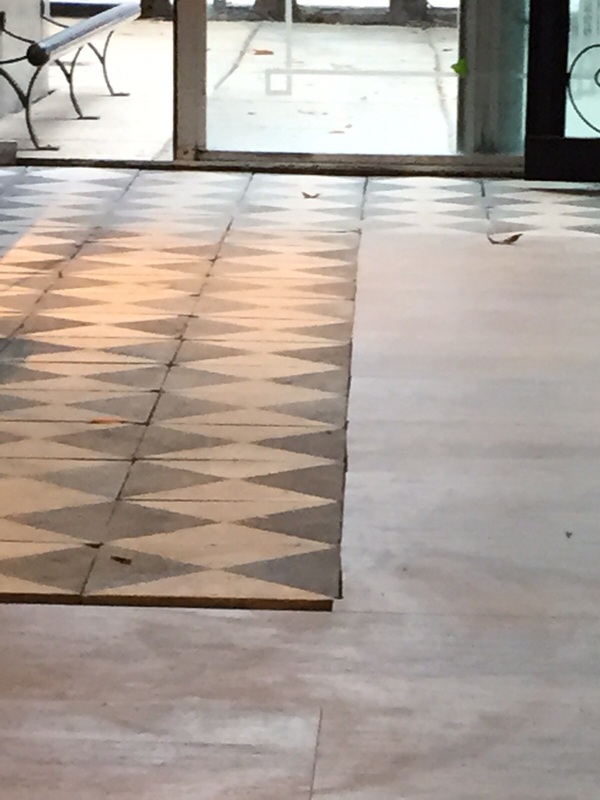 Check out that beautiful and durable porcelain tile. 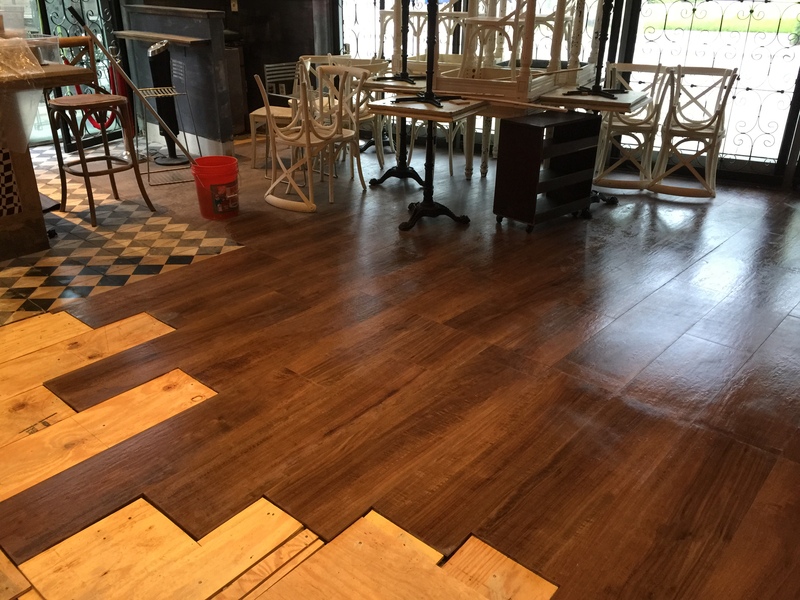 We love that it looks just like hardwood flooring! 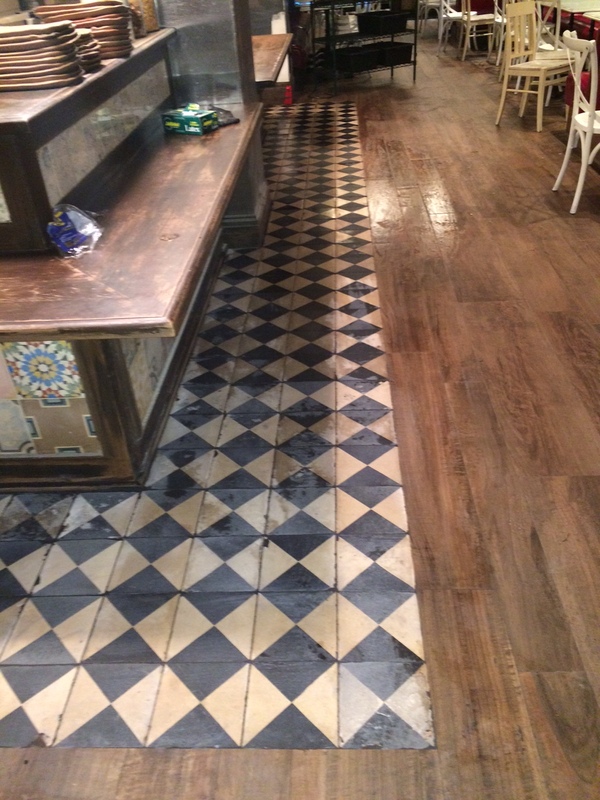 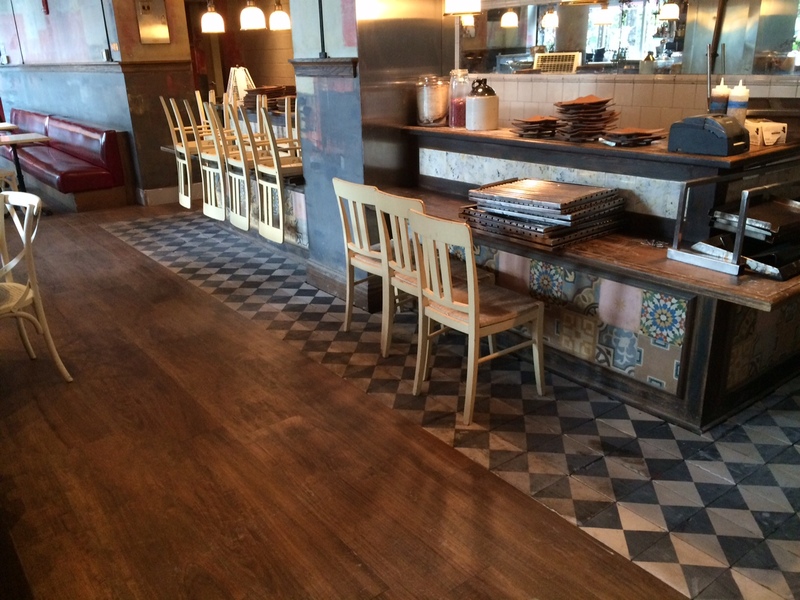 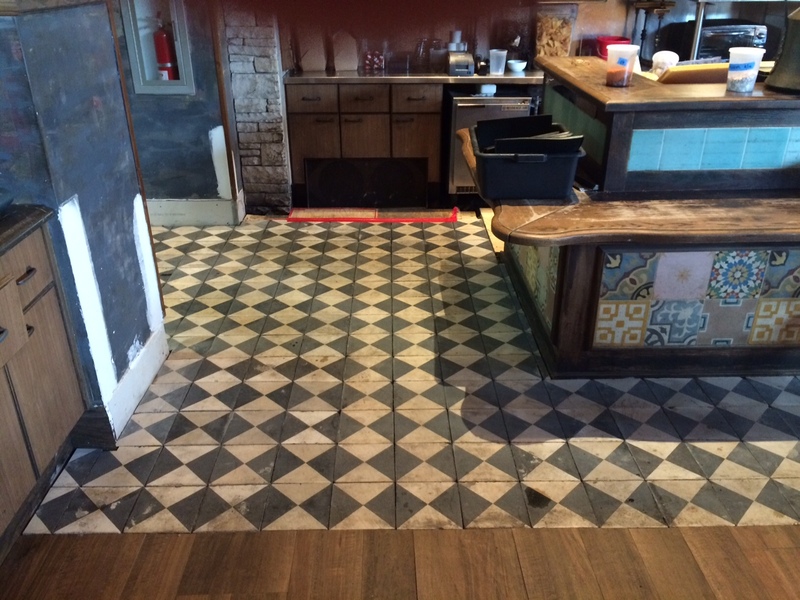 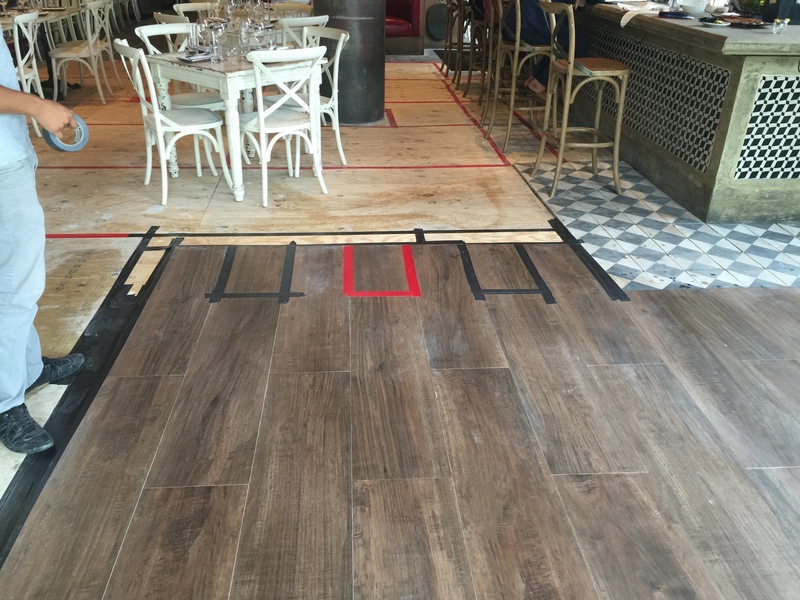 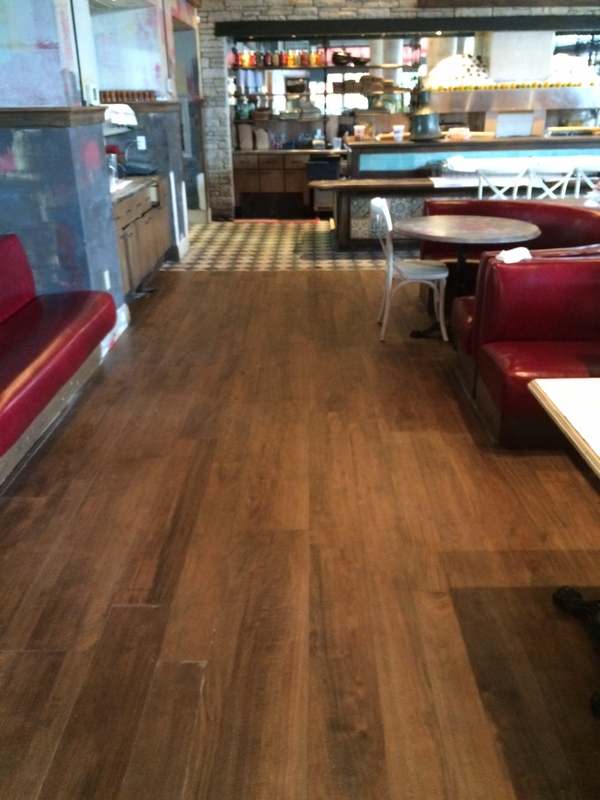 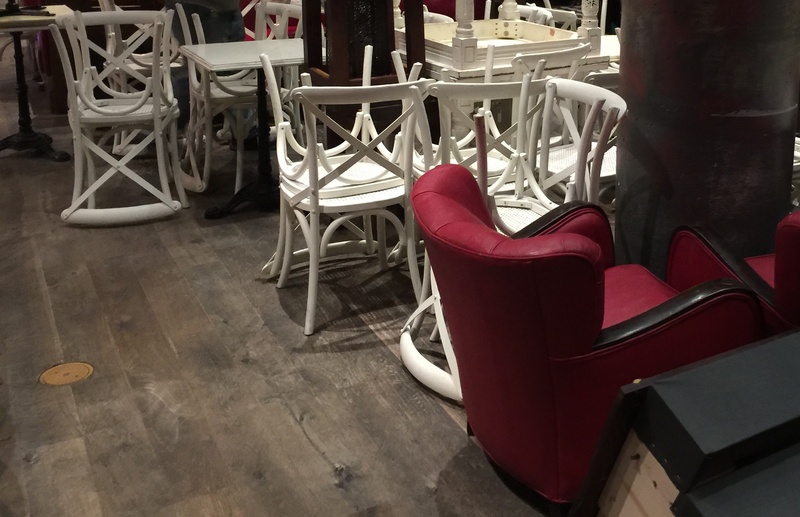 VPG replaced the entire hardwood flooring system in this 4,200-square-foot restaurant with wood looking porcelain tile. 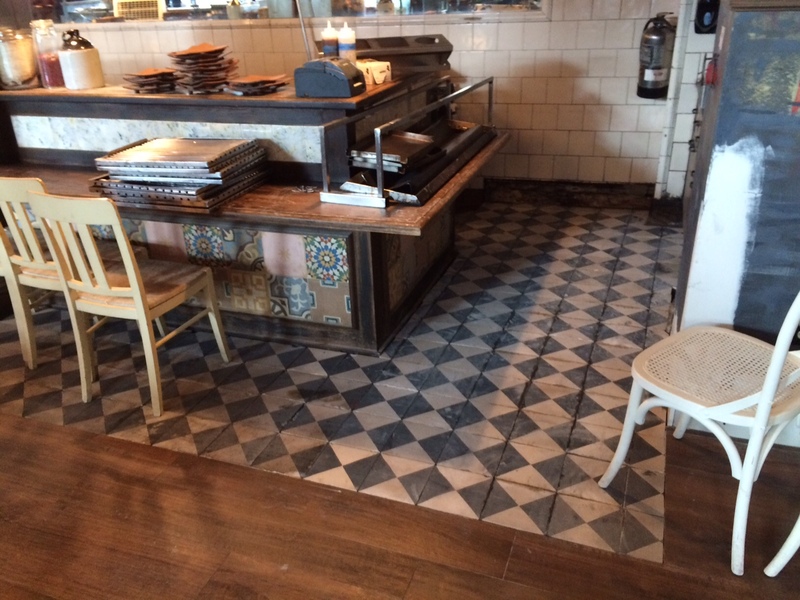 In addition, the antique tiles surrounding the bars were delicately replaced with 200-year old tiles that were reclaimed from a castle in France. 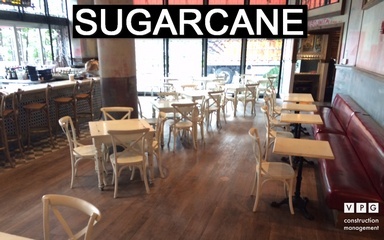 Learn more about SUGARCANE’s unique design here. 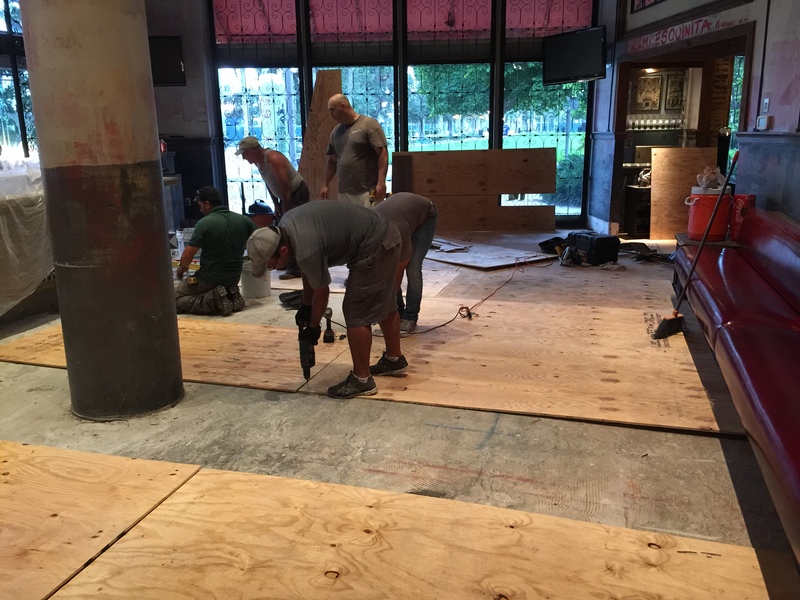 Because SUGARCANE is in high-demand, all work was performed without impacting the business and after hours with our crew starting after midnight or as late as 2 a.m. 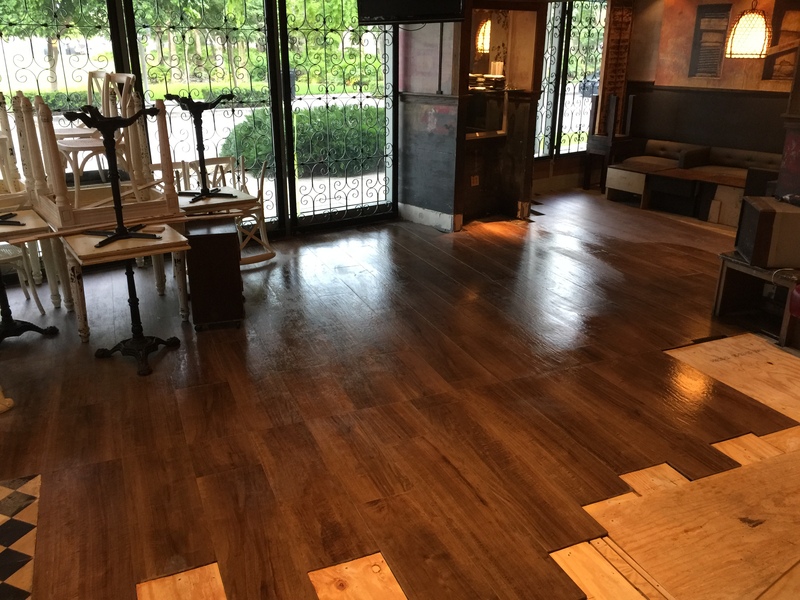 The next time you’re in SUGARCANE, we encourage you to admire those beautiful floors with their famous mojitos.